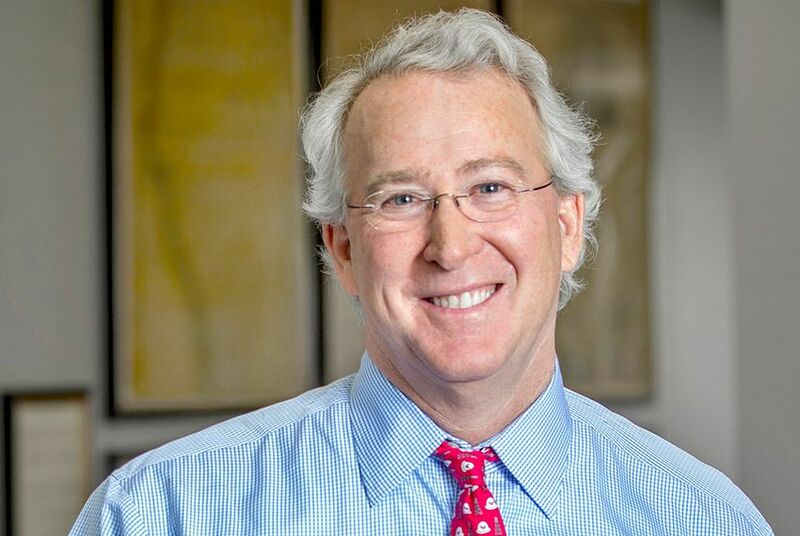 Those who followed the turbulent career of Aubrey McClendon called him one of the most influential Texas figures in a generation — warts and all. Aubrey McClendon didn’t invent fracking, and he was not the first energy executive to embrace that revolutionary way to fee up oil and natural gas. And the dyed-in-the-wool Oklahoman didn’t live in Texas. Nevertheless, one Texan who followed the turbulent career of McClendon, the longtime Chesapeake Energy CEO whose death Wednesday shocked the energy world, called him one of the most influential Texas figures in a generation — warts and all. McClendon, 56, was killed Wednesday after his Chevy Tahoe crashed beneath an Oklahoma City overpass, erupting in flames. “He pretty much drove straight into the wall,” Capt. Paco Balderrama of the Oklahoma City Police Department told reporters at a news conference. "There was plenty of opportunity for him to correct or get back on the roadway." His death came just a day after a federal grand jury in Oklahoma charged him with conspiring to rig bids for oil and gas leases in northwest Oklahoma, the most serious in a series of legal issues that cast a shadow over the final years of a career that left a large imprint on the energy landscape — stoking the surge of U.S. natural gas production that Texas leads. Many responses to his death reflected his controversial, yet sizable legacy. In a 24-year career at Chesapeake, which he co-founded, McClendon saw the scrappy company’s stocks soar to dramatic heights during the early days of the fracking boom. But after peaking in 2008, the company's fortunes plummeted as a natural gas glut pushed prices to rock bottom and McClendon continued to spend and borrow more than he could afford. Questions about his financial practices — namely, the mixing of company and personal deals — led to his ouster in 2013. Though based in Oklahoma City, the company has a particularly large footprint in North Texas’ Barnett Shale, and it occupied for several years a 20-story office building in Fort Worth — a prominent fixture of the city's skyline that it sold in 2014. If not for the risks McClendon took — finding the funds to buy up vast tracts of land in Texas, Oklahoma, Pennsylvania and host of other states and drilling at breakneck speed — perhaps the United States would not be awash in the cheap natural gas that is fueling the nation’s shift from higher-polluting coal. McClendon’s primary innovations, Gold said, came not from discovering or improving fracking technology that allowed drillers to tap petroleum reserves once thought to be unreachable. Rather, it was in putting together the complex financing that made the deals possible and then pushing drilling to the limit, sometimes at the expense of environmental and consumer protections. That prompted some competitors to do the same, triggering the gas gush. But it also encouraged practices that stirred some of the ill will that drillers face in some communities and the general public. “Whether you’re talking about what’s good about fracking and what’s bad about fracking, Aubrey and Chesapeake were responsible for both,” Gold said. McClendon’s death comes as Chesapeake deals with a flood of lawsuits across several states that accuse the company of short-changing mineral owners on royalties. Some have been settled, but hundreds drag on in North Texas alone. The City of Fort Worth, where Chesapeake has produced hundreds of billions of cubic feet of gas over the years — is among those suing, saying it’s owed more than $30 million in unpaid royalties on its property. That lawsuit followed years of city officials working hand-in-hand with the company. One Fort Worth law firm alone filed 435 lawsuits on behalf of 22,443 plaintiffs after rounding up clients through a media blitz that the energy company argues is poisoning the jury pool, the Star-Telegram reported last month. Some of the lawsuits, which mostly target company practices of deducting large percentages of royalties to cover certain production costs, name McClendon himself. The company has denied in court that its deductions were illegal. Jim Bradbury, a Fort Worth oil and gas attorney not involved in the suits, said the magnate’s death shouldn’t affect those proceedings much because liabilities would just shift to his estate. But he said most plaintiffs’ attorneys would likely prefer that McClendon were available to testify — to show juries someone who personally profited from the practices. Correction: An earlier version of this story incorrectly reported that Chesapeake Energy had built the 20-story office building it previously occupied in Fort Worth. Pier 1 built the building, which Chesapeake bought in 2008.